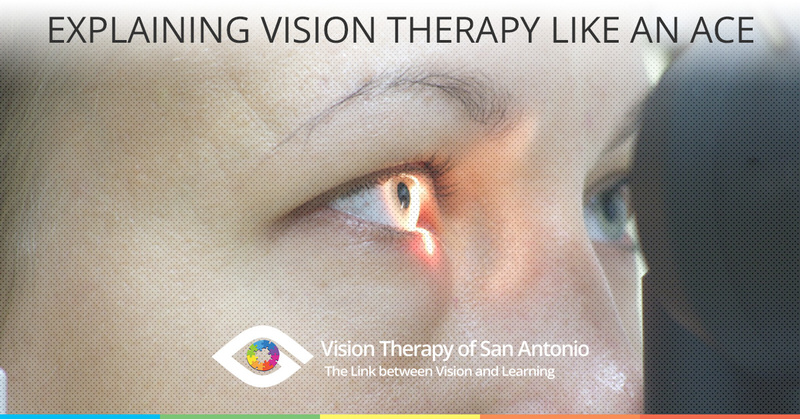 Vision Therapy San Antonio: Explaining Vision Therapy Like an ACE! I spend a lot of time thinking of the most concise way to explain vision therapy. Every day, I discover that my patients and/or their parents have never heard of vision therapy, so it takes some time to discuss the subject. And, in my busy primary care optometry practice, finding that extra few minutes can be challenging because I’m very mindful of not keeping my next patient waiting any longer than necessary. The discussion usually starts during the vision exam, with findings that indicate that my patient’s eyes don’t seem to focus together. This discovery leads me to ask some questions revolving around their ability to concentrate and focus while doing the near vision tasks that are typical during their day. If my time is very limited, I can always reach for the brochures that we have prepared to explain more about it, and invite them to read over and contact us with their questions. But, a few weeks ago, I got out my colored markers and started brainstorming on my whiteboard. 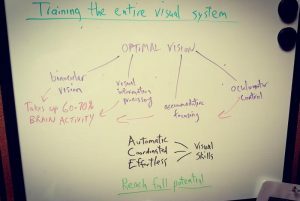 The result is the photo you see above, and it gives me two or three small but powerful ways to summarize vision therapy. I’ve particularly found it useful to refer to the part that says Automatic, Coordinated and Effortless. And with that, I saw the acronym “ACE.” To me, this explains vision therapy beautifully. A successful therapy patient will learn how to control their eyes in a way that will be more Accurate, more Coordinated and virtually Effortless. And once we achieve this, it will be so much easier for them to make sense of what they have in front of them. 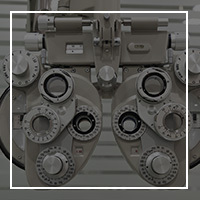 If you live in the San Antonio area and want to see if vision therapy might help you or a loved one see their world better, give us a call at 210-822-0900 to talk to us and schedule a free screening to learn more.